Thank you for taking the time to look at my website and Blog. 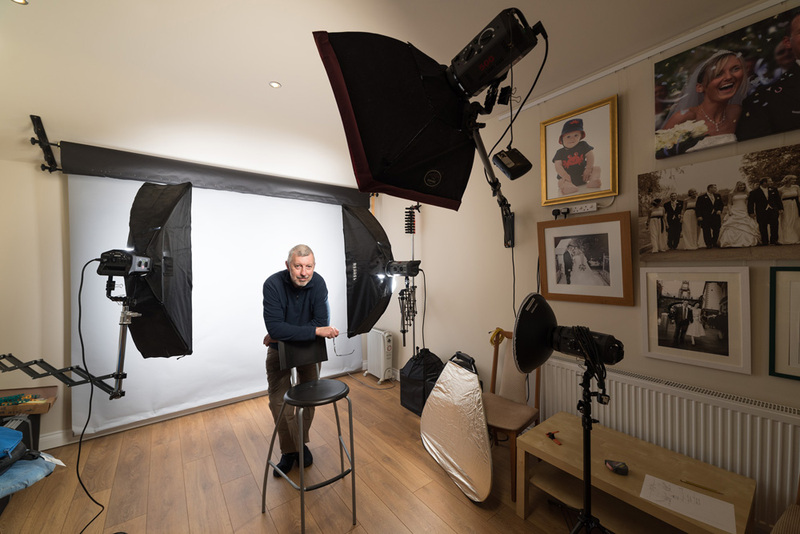 I’m Chris Porteous, a full time photographer based in the resort town of Prestatyn, Denbighshire in beautiful North Wales. I have a passion for photography and caught the ‘bug’ from my grandfather who had a darkroom in his garage. In those ‘good old days’ using film I got a great buzz seeing an image appear on a blank sheet of paper in the developing tank. I have over 40 years photography experience and 25 years using Adobe Photoshop, and now Adobe Lightroom as well. From 2005 I worked from home and in 2009 opened a new studio/shop, just off Prestatyn High Street. I loved working from there as clients could visit me anytime and I had a permanent display of wedding albums, storybooks, picture frames and canvas prints. However I moved house in 2012 and an extension to that has now become my new home studio. I’m again enjoying working from home, but this time I have a studio and dedicated office. My photography services include commercial work, portraits (humans and animals), passport and ID photos. I am a professional who takes great pride in my work and I always aim to deliver a second to none service. Please see my other information pages for more details about the services I offer.